Clawhauser is known in ZOOTOPIA as the goofy donut loving cheetah. I’m pretty sure he is my youngest son’s spirit animal. A round faced, adorable, fun loving guy; was the perfect character for him. 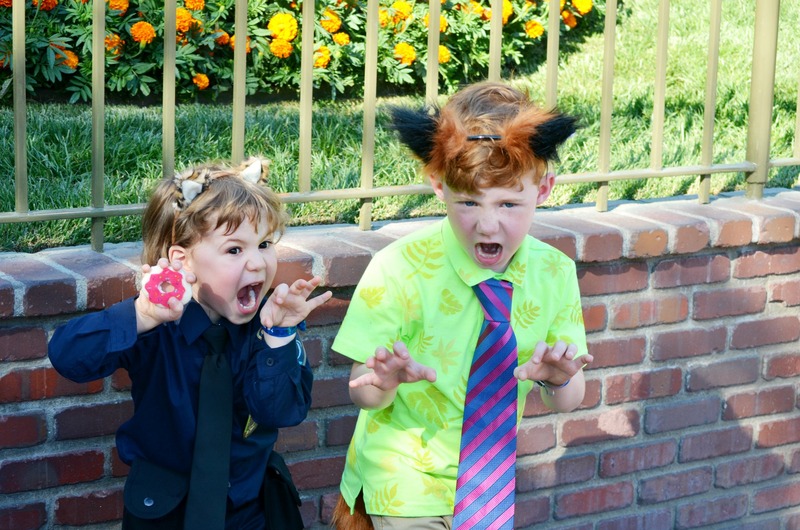 This is the last costume DIY rounding out our family ZOOTOPIA costumes for this year. 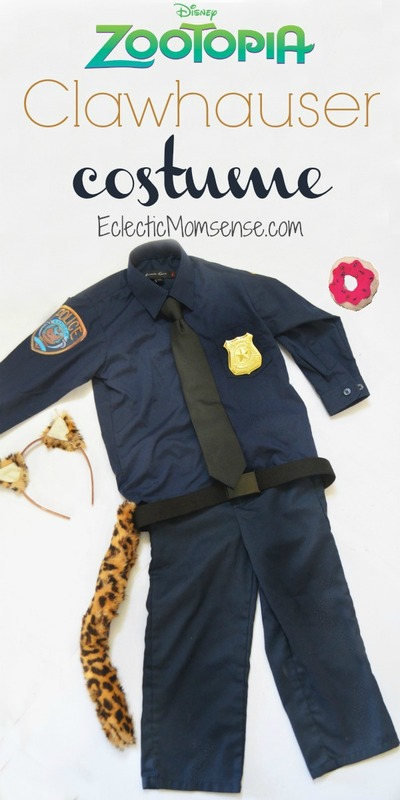 This Officer Clawhauser costume was pulled together again with some DIY’cycled clothing and a couple simple handmade items like the tail and ears. 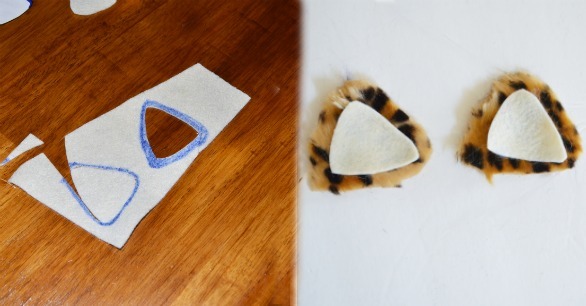 Use the ear pattern to trace and cut out the fur and felt. 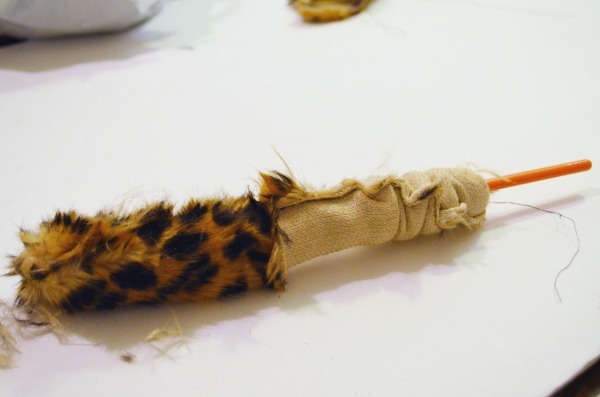 Pin the felt and fur right sides together. 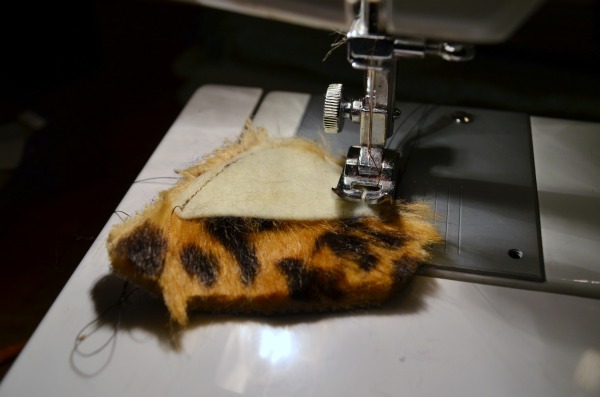 Align the felt to the top of the fur. Sew around the sides leaving the bottom open. Flip the ears right side out. Lay the headband on top of each ear. 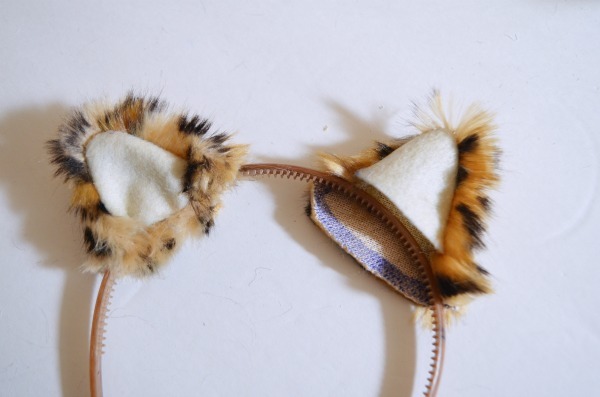 Use the remaining fur to wrap around the headband, then secure with hot glue. 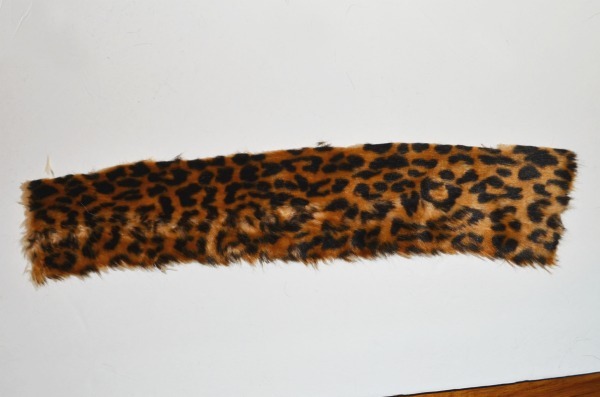 For the tail, cut a rectangle of fabric 4″ wide by your desired length. Fold it in half and sew around 3 sides leaving one of the small edges open. 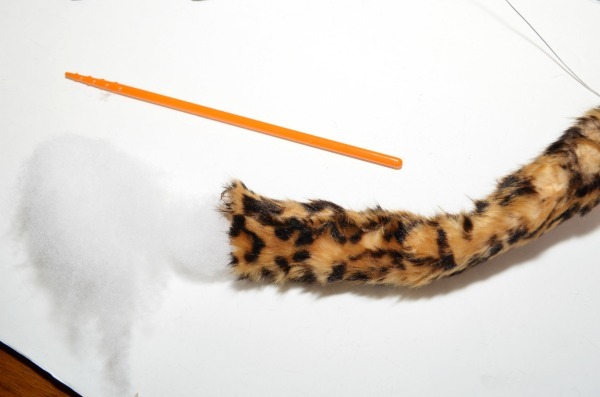 Using a skinny object like a chopstick press into the closed end pulling he tail right side out. Measure a price of wire 1/2″ smaller than 2x the length of the tail, fold in half, twist the open ends together, and place inside the tail. 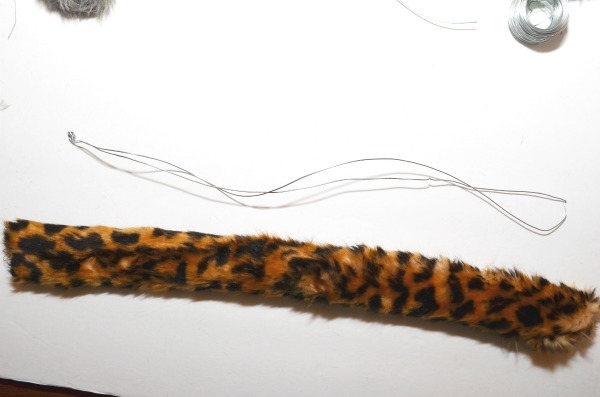 Using the chopstick push poly fill into the tail filling around the wire. Sew the opening closed. 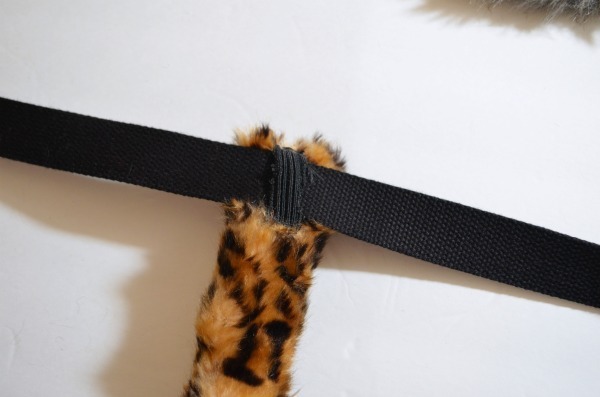 Add a piece of elastic to the back of the tail sewing the top and bottom leaving a place for a belt to feed through. Cut 2 pieces of cream felt in a circle. Cut a hole out of the middle of each. Cut a piece of pink felt about the size of the cream circles, adding a scalloped edge to the outside. 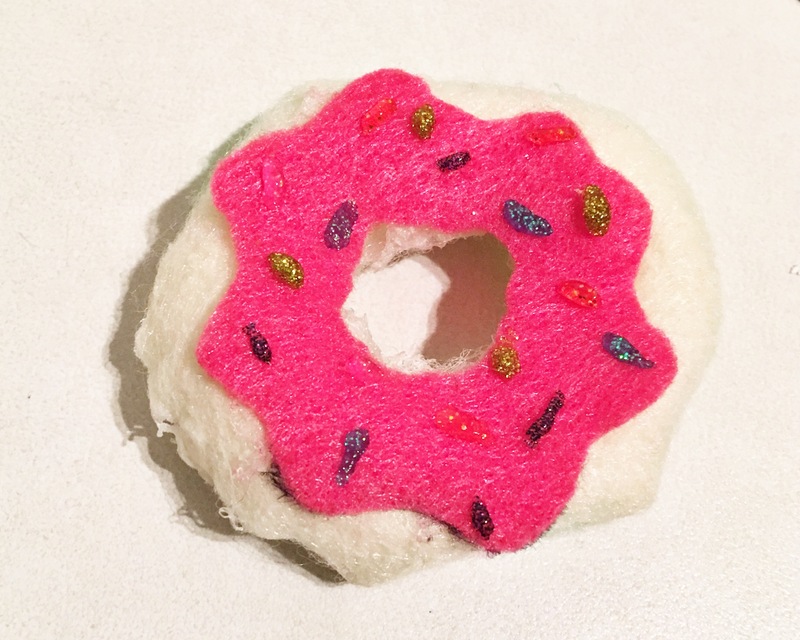 Sew or use hot glue to sew the 2 pieces of cream felt together on the outside and the middle circle. Leave an opening so you can flip it right side, then stuff with poly fill. Sew the opening closed. Hot glue the frosting to the top of the donut. Use glitter glue of different colors to add sprinkles.